It seems that everyone in Atlanta will find a reason or holiday to celebrate, and Cinco de Mayo is no exception! It’s not a traditional American holiday, yet people go out in droves to party and meet up with friends on this day, and for good reason… why not? Who doesn’t love sipping on margaritas and hanging out with friends? Wondering where to go? We put together a few options for a hot spots in town. We hope you enjoy, whatever you decide to do! Located at Krog Street Market at Inman Park, Superica is a tex-mex sensation. According to their website, “At first glance you may think you’re in Austin, Texas due to the mash-up of old and new findings like dang good margaritas, live music and our welcoming outdoor patio. Yup, that’s all reminiscent of the Great State alright.” The chefs Ford Fry and Kevin Maxey designed a “Mex-Tex” menu that plays to their own Texan roots. So if you want some good Tex-Mex in Inman Park for Cinco de Mayo, check it out! Recently reopened by popular demand, Ray’s Rio Bravo has found a sweet spot near the river on Powers Ferry a few doors away from Ray’s on the River – both owned by Ray Schoenbaum. It should be a Great Evening to Celebrate “Cinco de Mayo”. A1A – a Jimmy Buffet tribute band – will be playing starting at 6pm and the outdoor patio overlooking the lake and fountain will be the perfect atmosphere for sipping margaritas with your buddies! Rock’n’Taco has a lively atmosphere and is a great place to hang out with friends. It’s a gourmet taqueria with infusions of several different cultures and they use fresh ingredients, organic fruits and vegetables. The offer tacos in everything from the traditional chicken or beef to duck, oysters and more! If you’re a creative foodie, give them a try! Both locations will be offering drink and beer specials and the Sandy Springs location will also have live bands. Rosa Mexicano is fairly new on the scene in Atlantic Station. And Lesley’s favorite! They are featuring a special Cinco de Mayo menu all day. Their fresh guacamole is insanely delicious… so go check them out! Quoted as “gold standard” in “upscale” “modern” Mexican cuisine by Zagat, it’s probably better known for their food than a hot nightspot, but would be a great place to hit before you enjoy a night on the town! Tin Lizzy’s is always a good choice for tacos and margarita’s. 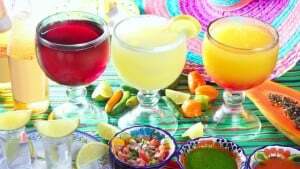 Not mention, they’ve already started Cinqo de Mayo countdown with $10 TLC Margarita Pitchers, which started on April 5th! While they haven’t unveiled the festivities for the night, it’s always a good time with good friends at Tin Lizzy’s! They have several locations, but Buckhead is my favorite! Stay posted on their Facebook page. Flip Flops – Cinco de Mayo Stache’ Bash 2016 – starts at 5pm. Named for its laid back atmosphere, Flip Flops is in midtown. They have two levels of live music, dancing and entertainment. If you want to feel like you’re at the beach while you’re sipping your cinco margarita, then Flip Flops might be a good choice. They will have guest DJ’s throughout the night. Bring your stash or get one from a bartender. Doors open at 5pm for Happy Hour Specials! P.S. Fun fact: Americans consume up to 81 million avocados on Cinco de Mayo , according to the California Avocado Commission. ← Just Listed :: Wonderful Home in Brookhaven Fields!